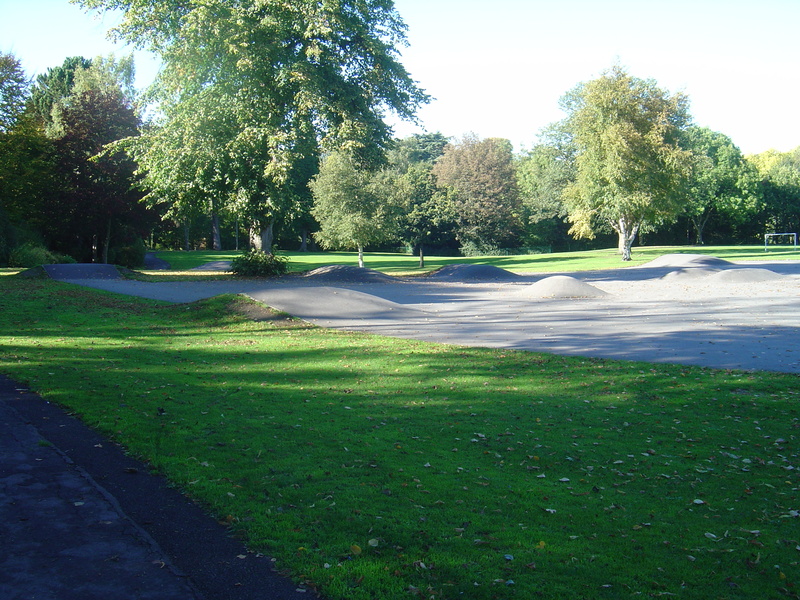 Skate Park users have given feedback that younger children using the ramps for cycling and playing can create a hazard on the park. Whilst the Friends recognise the patience and sensible attitude that the older users of the Skate Park show towards the younger users, we also recognise that this can be frustrating at times… …so Friends of Millhouses Park has planned a cycle roadway for the (currently empty) patch of tarmac which housed the old playground. This will allow younger cyclists to move off the skate park and increase safety for the older users of this facility. The roadway will feature small ramps, painted roads and other obstacles. Below is a similar facility in Macclesfield (West Park).